Image courtesy of Etsy.com shop The Bohemian Dream, designer Lucia Flores. 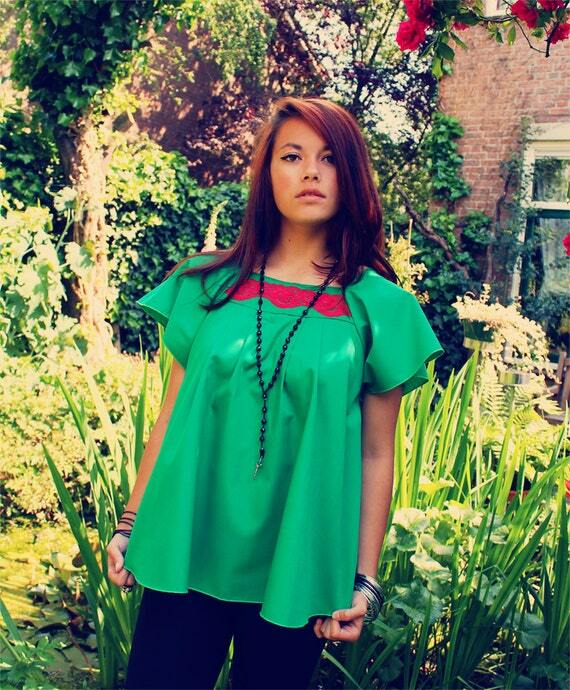 Bohemian blouse, $52. Upcycled, eco-friendly, one of a kind bohemian pieces to fit even the modest of budgets is all found in Etsy’s shop, The Bohemian Dream. I love the store owner and fashion designer Lucia Flores’s take on upcycled fashion – taking what it is already beautiful and in our hands today and recreating it into something new, cute and unique. Add to your bohemian closet with Lucia’s unique and stylish designs. 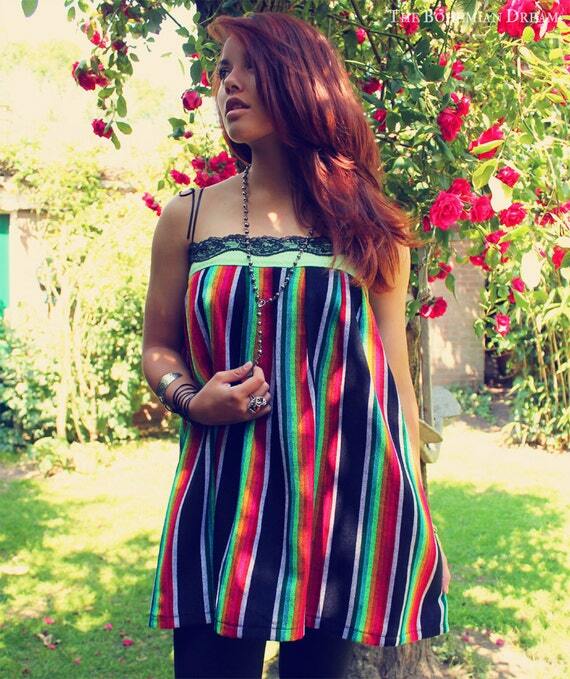 She ships worldwide from Amsterdam, Netherlands. Check out The Bohemian Dream’s shop at https://www.etsy.com/shop/TheBohemianDream?ref=shopsection_shophome_leftnav. 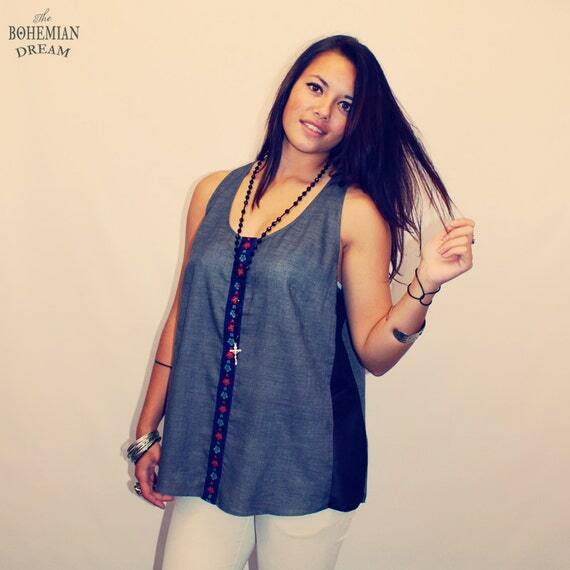 Image courtesy of Estsy.com shop The Bohemian Dream, designer Lucia Flores. Bohemian, floral trimmed tank, $34. 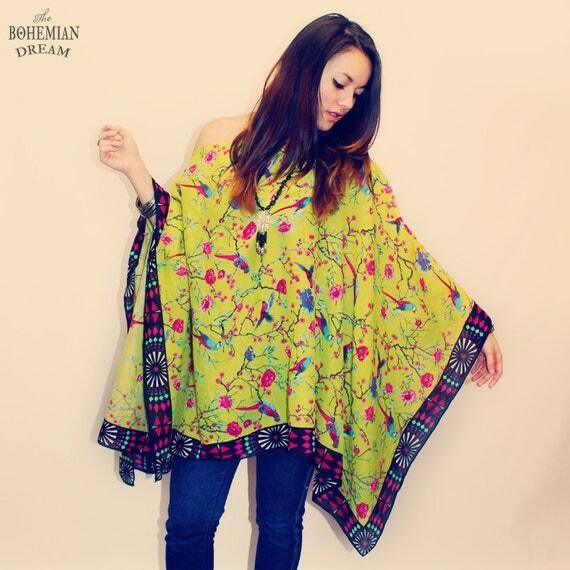 Image courtesy of Esty.com shop The Bohemian Dream, designer Lucia Flores. 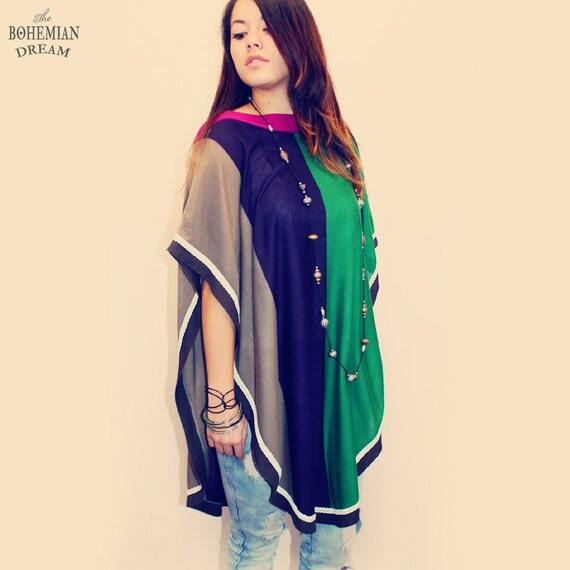 Bohemian poncho, $29. Image courtesy of Etsy.com shop The Bohemian Dream, designer Lucia Flores. Bohemian tube top, $34. Image courtesy of Etsy.com shop The Bohemian Dream, designer Lucia Flores. Top layering, off shoulder Oriental Tribal Print Boho Hippie Poncho, $45. « Just For Fun~What’s Your Creative Spirit Name? LOVE all the colors! These are happy clothes and her prices make me smile too 🙂 I need to check out Etsy! These are happy clothes! That’s what I was thinking too when I found The Bohemian Dream’s shop on etsy. What I really love about Etsy is how has local artisans but allows them to sell their creations worldwide – so it’s a huge, global community buying from sellers who deserve our monies. I now check out Etsy first for clothes before looking at the major retailers sites. Chances are what I’m looking for can be found on Etsy. Thank you so much Kimberly for this wonderful feature!! Your kind words put a smile of face :)! PS: a very cute and super soft poncho is headed your way! Hope it’ll be with you very soon :).